This bag is 100% safe when used in water to a depth of 20 meter. Besides this bag also protects your smartphone from dust, snow, etc. It is used when outdoor activities. With the proven quality of the material makes this bag very safe to use while swimming and other outdoor activities. Can be used for all smartphones. suitable for Samsung note2 7100 ,htc one x ,sony Xperia ZL etc . 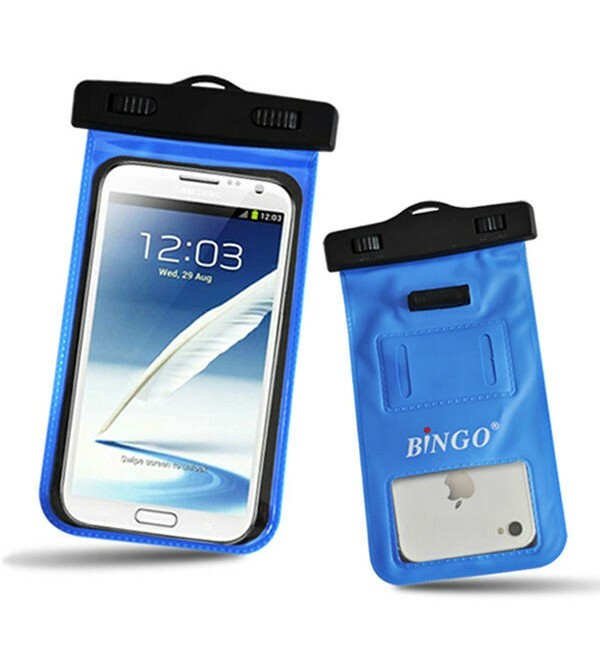 1. this pvc waterproof case can keep your cell phone dry underwater in water sports ,like swimming ,diving ,surfing ,water sports ,etc .Besides ,its has water proof earphone socket ,you can listen music . 2. at most allow you diving 2hours /one time , water proof 5 meters depth.